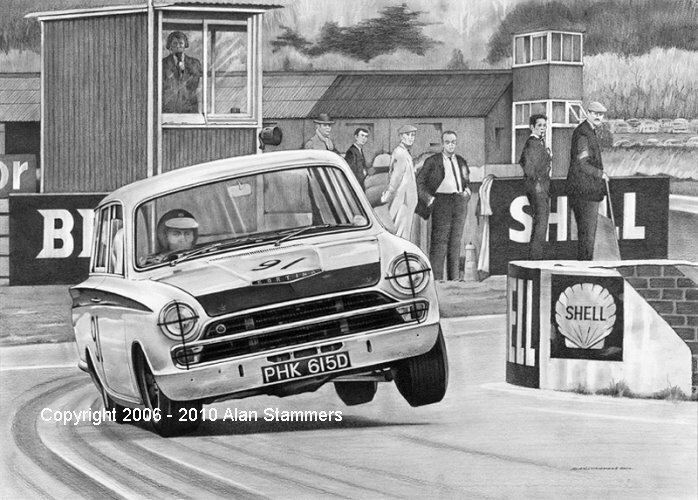 This new drawing depicts the legendary Jim Clark in the Lotus Cortina during the St. Mary's Trophy race at Goodwood on 11th April 1966. Clark's stunning natural ability to drive anything on the absolute limits, thrilled the crowds wherever he raced during his illustrious career. Every print is individually signed, numbered and embossed. No further prints will be produced.